It is well known that famed writer H. P. Lovecraft enjoyed the works of William Hope Hodgson. 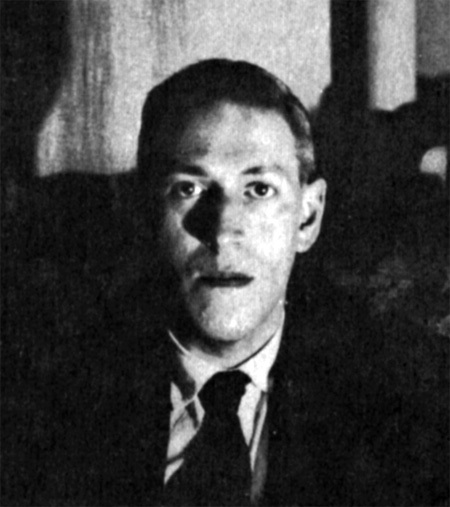 After all, he included WHH in a later version of his groundbreaking essay, Supernatural Horror in Literature, as well as incorporating that section into an article published in The Reader and Collector (June, 1944). We previously presented that article in an earlier entry on the blog at https://williamhopehodgson.wordpress.com/2012/08/01/the-weird-work-of-william-hope-hodgson-by-h-p-lovecraft/. But did Lovecraft have anything more to say about Hodgson? The only other mention of WHH comes later when HPL once again takes Hodgson to task for his inferior imitation of 18th century English. This mention is only a brief aside as HPL is complaining about other writers also having a similar problem. It is interesting to note that, in the published HPL letters, he does not speak about WHH very much despite an obvious respect for the work. The fact that he compares Hodgson to Blackwood demonstrates the high regard Lovecraft felt for WHH. Perhaps if he had discovered Hodgson earlier, as he did Dunsany or Machen, Lovecraft would have been influenced by Hodgson’s cosmicism which was so similar to his own. I always wondered at what point HPL had first read THE NIGHT LAND and HOUSE. Both really do have this amazing and vast cosmic mythology going that are in the Lovecraft groove like no one else I can think of. Very interesting and valuable material about WHH; keep it on! I have been mr. Hodgson’s premier fan since I read a collection of his stories and here I can read informations I find for the first time. As for the language; “The Boats Of The Glen Carrig” are passable, in a manner of speaking; but the pseudo archaism used in “The Night Land” slightly pulls the book down (hand in glove with the irritating repetition like “And we to go, and we to stop and did eat, and we to go again and we did stop after two hours and we to eat” and the enormous and boring lenght, and last but by no means least there is the letdown in the second half Lovecraft speaks of in his essey on supernatural horror in literature. I think there are mentions of Hodgson in other published collections, such as the letters to Donald Wandrei and R. H. Barlow (and probably also the letters to August Derleth, but I haven’t read all those yet). It is entirely possible. However, I do not have copies of those so I used what little I had which were the SL. If anyone can provide those other mentions, it would be greatly appreciated. I’ll see what I can come up with! Many thanks for reprinting the excerpts from these letters. It’s the first time I’ve ever read them and despite those swipes at the inaccurate 18th century prose style, it’s obvious Lovecraft is pretty much in awe of Hodgson’s work. I think we can take HPL’s comments regarding WHH’s 18th century style with a bit of salt. Considering that HPL was a real scholar of that period, I doubt if many writers could match his standards!